ToursByLocals Blog - Meet ToursByLocals at Travel Shows: Free Tickets! 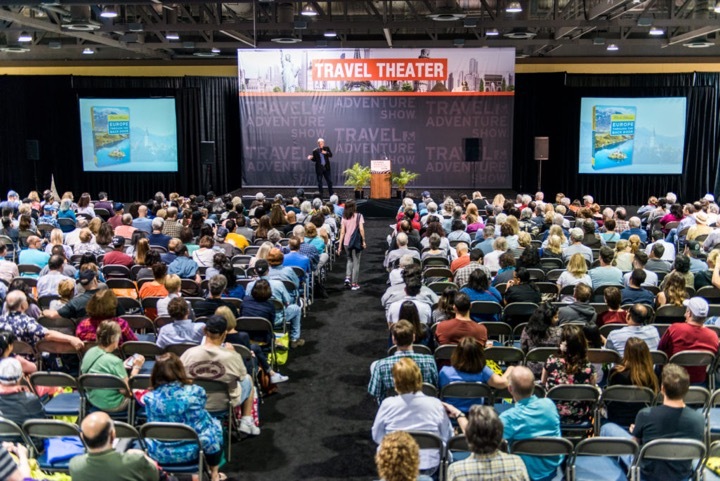 Meet ToursByLocals at Travel Shows: Free Tickets! In 2018, ToursByLocals will be sending company representatives to 10 travel shows in North America and the UK. Each show expects between 20,000 – 30,000 enthusiastic travellers to attend, all looking for companies they can trust to provide them with exceptional travel experiences. We love travel shows. While most marketing experts will tell you advertising money spent online delivers better reach and results, we’ve found that there’s no substitute for the one-on-one discussions we get to have with our travellers face-to-face at these shows. It helps us all understand each other better. In the past, many ToursByLocals guides have joined us at our booths, including guides from New Zealand, Turkey, Iceland, Italy, Japan, Canada, the UK, US, and Croatia. This year, we’ve sent invitations to guides from all over the world and expect to have even more of an international presence at our booths in 2018. The shows are fun; they feature live cultural performances, the chance to taste food from all over the world, and listen to speakers like Rick Steves, Pauline Frommer and Peter Greenberg. If you live in or near one of the following cities, and would like to attend a travel show there, we have free tickets to give away, and we’d love the chance to meet you! Just send us an email to: press@toursbylocals.com and we’ll send a pair of free tickets your way. Please note that tickets must be requested by Thursday at midnight prior to the show weekend.